When we think advance care planning, we tend to think Doctor Offices, Lawyers, lots of medical jargon, and it is intimidating. Snowline wants to let you know that planning for advanced chronic illness does not need to be something terrifying. Instead, it can be a gift to your family. The burden of difficult decisions during stressful times is lifted from your loved ones. 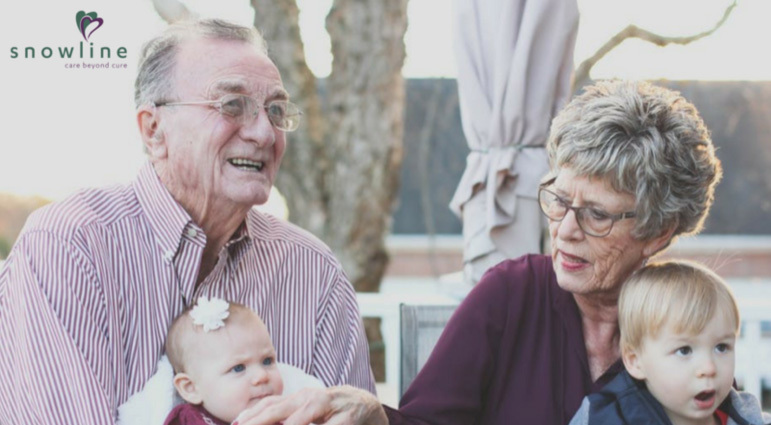 It may not seem like an easy conversation to get going, and your family may not always initially agree with your decisions, but you really can’t start too early with this conversation. At Snowline, our favorite advance care directive is the Five Wishes. We use this one because the last three of five wishes go beyond what most people think of when they think advance care planning. Sure, you get to name a medical decision maker and decide what kind of medical care you want, but wish three, four, and five give you a space to explain how you want to be treated as a human being, not just a patient. You are able to outline what it means for your loved ones to keep you comfortable, like do you want specific music, flowers, or prayers? It also gives a space for asking for and giving forgiveness and even a place for you to describe funeral arrangements. It’s a uniquely human document in a sea of technical ones. It’s also a wonderful tool to use to get a conversation started in your home. The Snowline Community Outreach Team periodically provides Five Wishes Seminars, so be sure to check our calendar for upcoming events and learn more about advance care planning.